DO NOT USE ON HUMAN SKIN–NOT FOR MAKING MASKS! Our latex mold making rubber is extremely tough, very flexible, and is resistant to tearing. It is brushed directly onto the pattern, allowed to dry, and then reapplied. This process is continued until the latex mold has reached the desired thickness. When dried, AeroMarine Products’ latex rubber resembles a rubber band. You can remove it from the original by rolling it up like a sock. 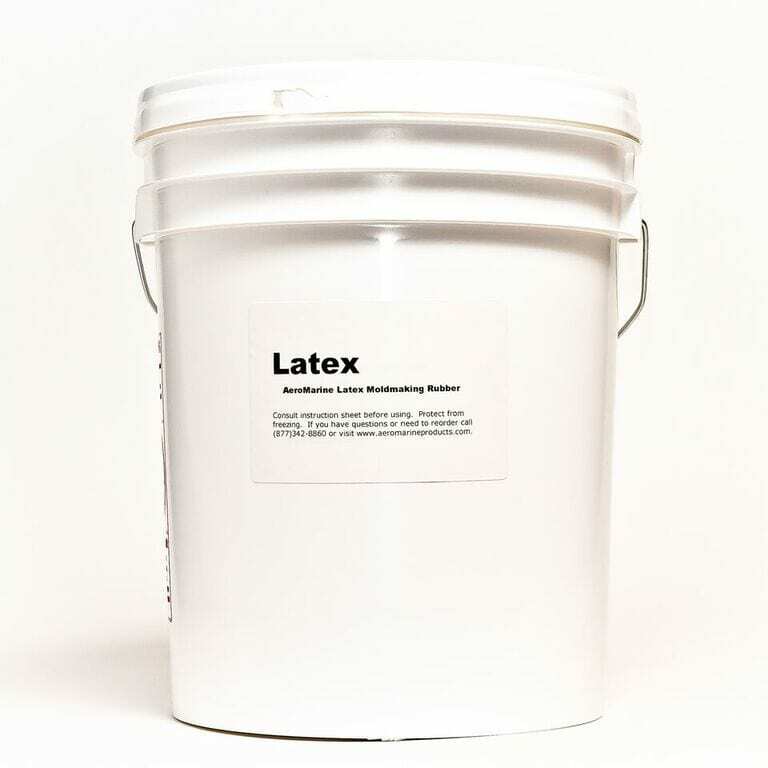 Latex is best for making molds for casting cement, concrete, plaster, hydrocal, or hydrostone. It can be used for limited runs of resin castings, but the yield is low. 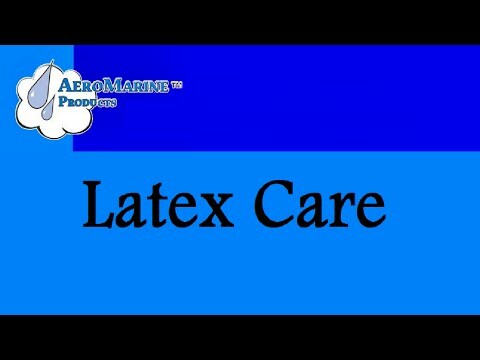 Tips: Latex “air dries”, like paint, but much thicker. To speed up the drying process, you can use a heat gun to blow warn dry air over the freshly applied latex. Cheescloth makes a good reinforcement for a latex mold. After brushing on at least 4 coats of latex, add some cheesecloth to reinforce the mold. Since it is so flexible, you may want to put the latex mold into a bed of sand so that the mold does not distort when being filled. When storing your latex mold, leave a casting in it to help the mold to preserve its shape. If you must thin latex, distilled water is preferred, although tap water seems to work. Thinning latex is not recommended because it slows the process and increases shrinkage.